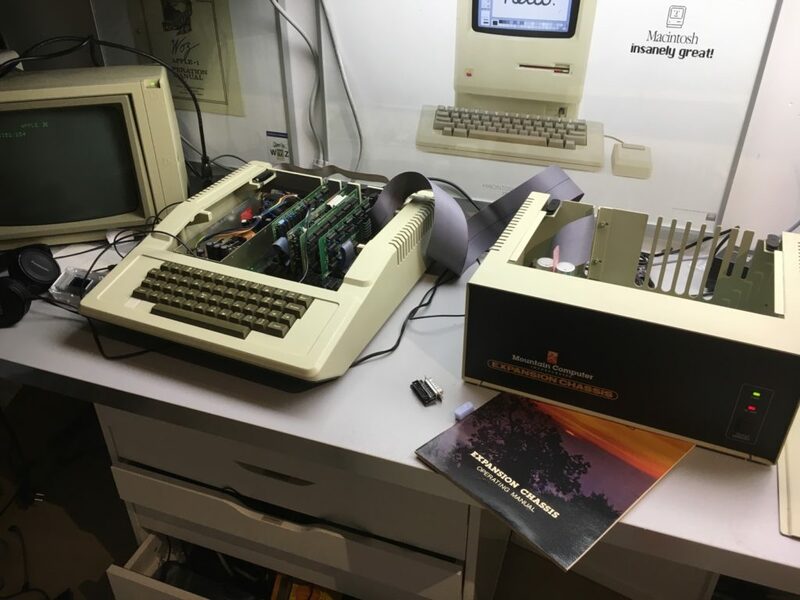 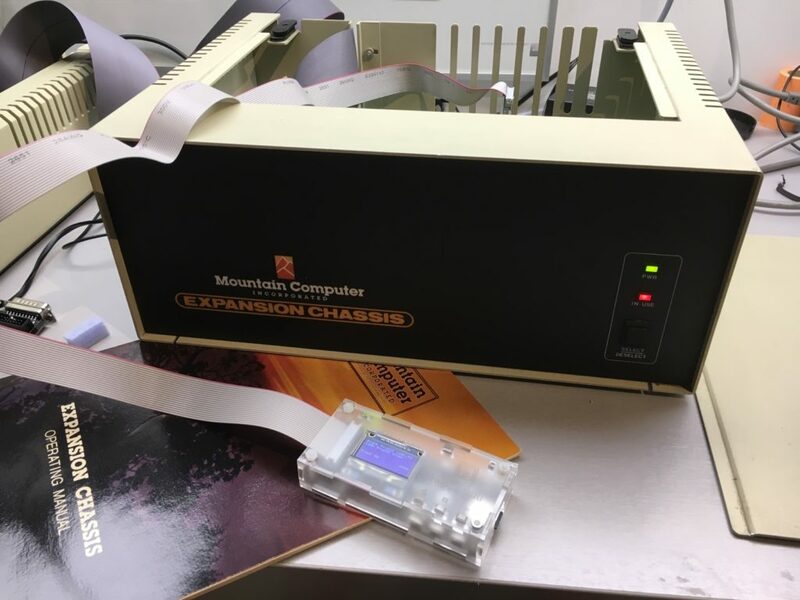 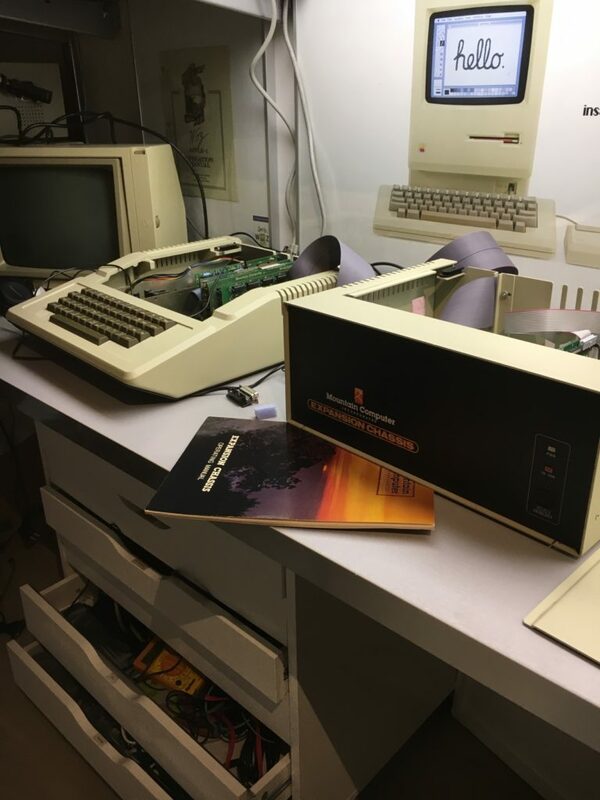 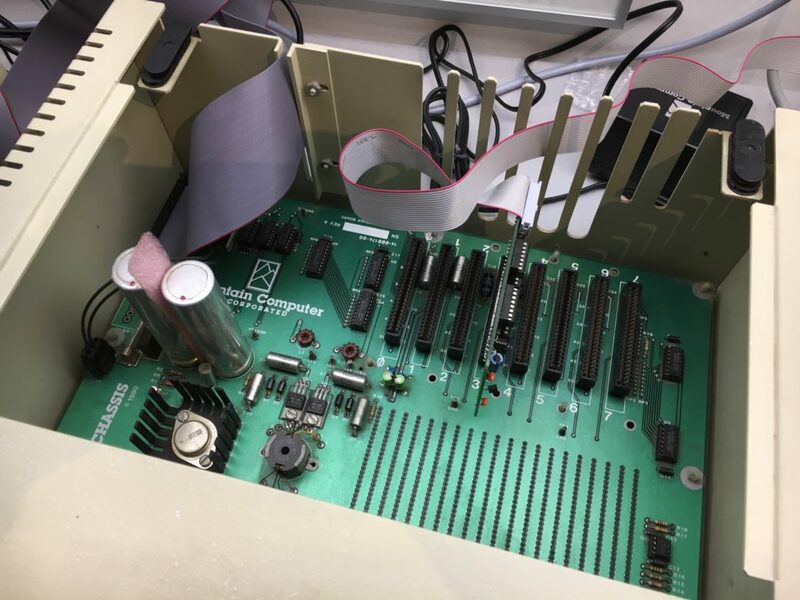 Apple II + Expansion Chassis from Mountain Computer – Never trust a computer you can't lift! 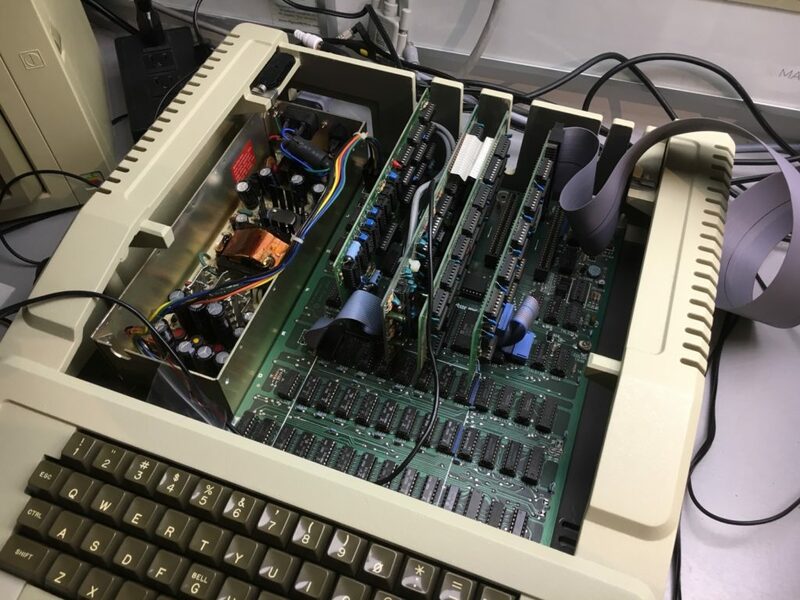 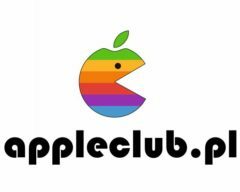 If you own many peripherals for Your Apple II computer, you have probably run into the problem of too few slots for too many peripherals. 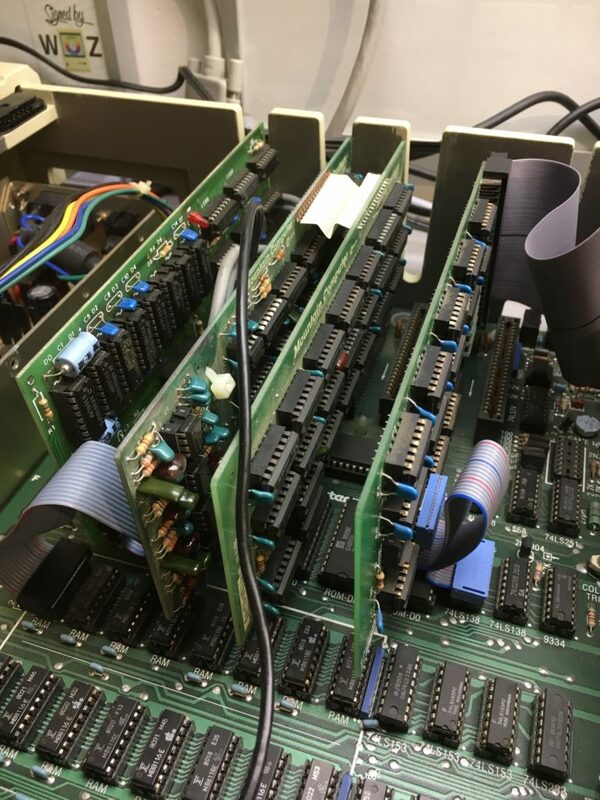 The frequent “card swapping” you must do to cope with this problem is inconvenient and can be damaging to your peripheral cards. 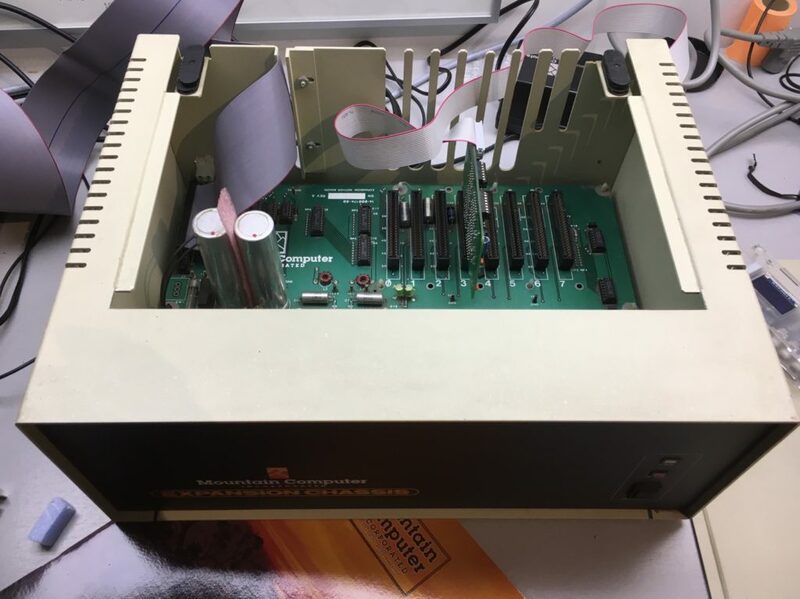 The Expansion Chassis offers a solution to this problem by providing you with an abundance of peripheral slots.